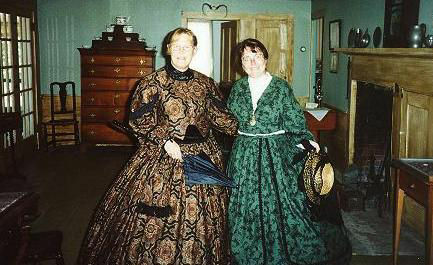 In addition to our scheduled open hours, tours of the historic Peabody-Fitch homestead at Narramissic are available by appointment and during scheduled events. 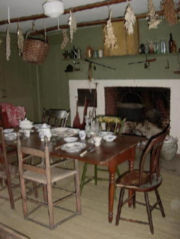 Visit "Narramissic," the Peabody-Fitch farm, for a glimpse of New England on the eve of the Civil War. 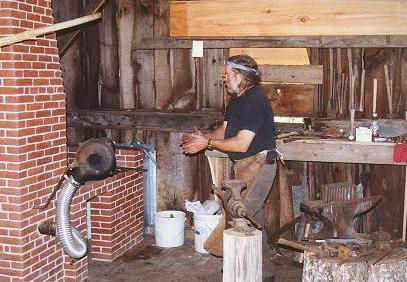 Have a fun learning experience at one of our programs, take a hike to the quarry that was the source of the granite for the foundations, visit the restored blacksmith shop, and tour the house, furnished largely with items original to the property. 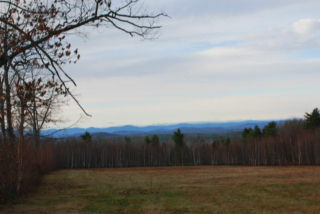 Or simply enjoy the view of the spectacular Maine & NH mountain range and explore the grounds, which are being restored to reflect a mid 19th-century Maine farm. 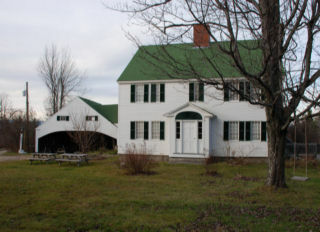 The house was built in a simplified version of the Georgian style in 1797 by one of Bridgton's first settlers, William Peabody. 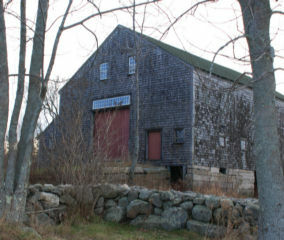 In the 1830s his daughter, Mary, and her husband, George Fitch, purchased the property. They added a rear ell, renovated much of the house to reflect the more fashionable Federal style, and constructed the blacksmith shop and "Temperance Barn" (raised without the traditional barrel of rum!). Over a century later, in 1938, Mrs. Margaret M. Monroe from Providence, Rhode Island, purchased the property to use as a summer home. When she passed away in 1986, she left the farm to the Bridgton Historical Society. 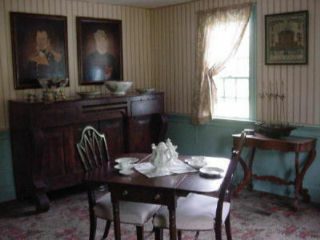 The house today reflects life in the mid-19th century. In part this is because of George Fitch's many renovations, and in part it is due to one of George's sons, Edwin Peabody Fitch (1840-1930), who wrote his memoirs, "Ninety Years of Living,” about growing up in this house during the 1840s and 1850s. This short work, which has been published along with his exciting Civil War diary and is available for purchase from Bridgton Historical Society, provides a wealth of information about life in the house during this period. Combined with the furnishings in the house, many of which are also original Peabody and Fitch family items, a visit to Narramissic provides an unparalleled authentic experience. 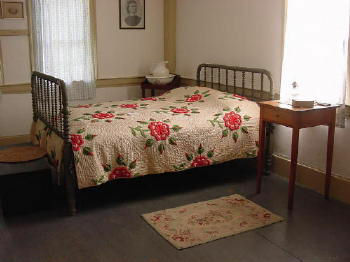 The house is open for tours Tuesday-Saturday from 11-3 through August 15. After that, it will be open by appointment. The Society holds programs and events from large festivals to small workshops on the grounds, which are also available for weddings and other private functions. For a map/satellite view of the area around Narramissic, please visit this Google Earth link. Front of the House -- Why doesn't this face the road? Information will be added to this section when it becomes available. During the spring, summer and fall, the grounds and buildings at Narramissic are available for social gatherings such as Weddings, Family Reunions, Bridal and Baby Showers, Company Functions, Clam Bakes and Birthday Tea Parties and our annual Bluegrass Festival. We can create and serve meals to smaller groups, otherwise, you may hire your own caterer. 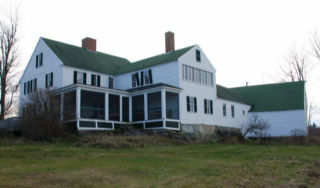 The farmhouse is appropriate for about 15 people. The barn, on the other hand, is suitable for larger groups and the fields can accomodate tents. There is plentiful parking and the views are magnificent! To get more details and/or to reserve a date, please contact the Society at 207-647-3699 or via email at info@bridgtonhistory.org.